The story of the guy who just wanted to park his truck in the driveway….Sussex county council gets it right again. Much more on today’s Sussex county council meeting and yes, it IS interesting. Let us begin with the common home ownership law currently in committee and known as SB 5. The county council people were confused. So am I. So this law as proposed would require all homeowner’s associations in the state of Delaware to comply with some kind of act named after some homeowner’s association champion from Kent county. Okay, let me bring up my own community of Deerwood, about as perfect an example of Sussex county before there was a plan and with a myriad of nonexistent rules with which I’ve wrestled. Then along comes a snow storm and oops. Sussex county, or the state, or whoever plows the roads, does NOT do Deerwood. BUT….Fawn Lane, where my daughter lives, DOES get her road plowed. She also gets the potholes done right fast while the rest of us in Deerwood lose our auto engines for the ruts. I once tried to work with Joe Booth to get this all straight and it turned out, as I sniffed around, that Deerwood DOES have a homeowner’s association but it has exactly no rules and charges no fees. Seems developers had to set up some kind of homeowner’s thing back in the late 90’s when Deerwood came to be. So they did what the bureaucracy wanted and seems there’s lots of communities like Deerwood with useless homeowner’s association rules. Now why does Delaware all of a sudden want to get all these HA’s straighten up and fly right? Well I don’t know but homeowner’s associations do tend to make the world around us a better place to live never mind the endless rules some of them come up with. But for the state to force such a thing down our throats? Heh. The residents of Deerwood will rip off their necks and crap down the bloody stumps for their independence and flip the bird attitude. And I say that with love. Next we have this beloved Alan Levin of Happy Harry’s fame getting more power than any one unelected individual ought to have. Now it will be on HIS office to establish so-called “right-to-work” zones that would invite manufacturers of 20 or more employees to move in and be freed from retail sales tax for the first five years of business. 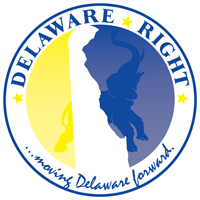 First, Delaware needs to give those oppressive unions the bird and now we have to set up what should be an American right and declare that one need not join a union if you work in this little area right here. Levin is Delaware’s Director of Economic Development and he no doubt wants this SB54 to pass that would give him great power. If you Sussex county guys are smart, give this right-to-work concept welcoming leeway because Sussex beach areas don’t need gangs of unionized electricians. We need people able to make salt water taffy for quick sale to a tourist market. BUT watch this concept of giving one director of some made up office so much power. For while Alan Levin might be a nice man who brought us Redner’s to Georgetown, the guy following him might not be so honest. So we come to the most fascinating story of the day and your own Blogger right here has figured it all out although it took me all afternoon. It’s about a guy who owned a small trucking business and his attempts to park his truck in hiw own driveway. Naturally it’s more complicated than that. 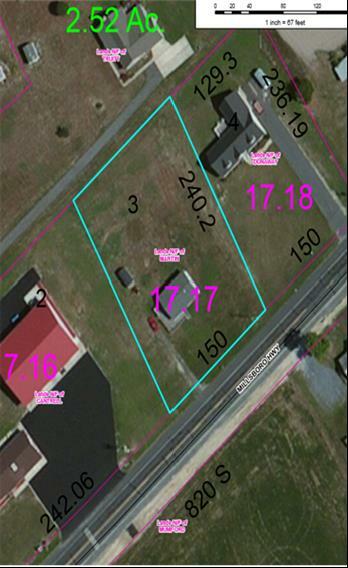 Application of JOHN MARTIN to consider the Conditional Use of land in an AR-1 Agricultural Residential District for a trucking business and parking of vehicles to be located on a certain parcel of land lying and being in Dagsboro Hundred, Sussex County, containing 35,011 square feet, more or less, land lying northwest of Millsboro Highway (Route 24) 300 feet northeast of Lewis Road (Road 409) (911 Address: 30102 Millsboro Highway, Millsboro, DE) (Tax Map I.D. 133-20.00-17.17). It took a little reading between the lines to figure out just what was going on here and, in its own way, its kind of sad. And the Sussex county council handled it perfectly, God bless them all, especially the three who voted for poor John Martin to park his own vehicle in his driveway. Mr. Brown lives on the property and operates a trucking business on the site; that he has had as many as three (3) trucks on the site; that he now has one (1) truck; that he no longer parks trailers on the site; that he parks the trailers at another location; that most of his haul loads are within Delaware for Coastal Materials; that he has talked to some of his neighbors and heard no complaints; that he is aware that he cannot park his tractor and trailer on Route 24; that on occasion he starts his truck at 5:00 a.m.; that he does some minor maintenance on his truck periodically; that he has his own service pickup truck; that he does tinker with cars and has a race vehicle in a box trailer on site; that no signage is necessary; that he is not sure if the neighbor to the west is still operating an auto repair business; that Parker Block is just west of the intersection on the south side of Route 24; that he does not now cross the property line with his vehicles; that the driveway is stoned; that he realizes that the area is primarily residential with small lots; and that he has been selling vehicles, but they were his personal vehicles. Now I don’t want to be too complimentary to the Sussex county council as they might get used to it. But I think they did a fine job discussing the dilemma of John Martin and I warn those guys not to get too used to the flattery but by me, it was a great call. John Martin is obviously not a good neighbor. Or at least he once wasn’t. Below is a picture of Martin’s lot and at this time it doesn’t look too bad. But once it would seem Martin had trailers parked all over his lot, had a couple of cars parked in the front that he was selling though he swears they were his own. He was parking his rig on his neighbor’s property without permission, he causes traffic problems because he must back his truck into his driveway and this causes issues on busy Route 24. Evidently Martin works on his truck like people due and he’s been known to start roaring his truck at 5 in the am. In exasperation John Martin filed for a conditional use permit in order to park some of his delivery truck vehicles in his driveway. Note that his other trailers are kept at another location but sometimes the guy needs to bring one of his trucks home. The Building and Zoning commission turned Martin’s request down because they felt like he was pulling one over on them, that he was really running a used car lot. There was much pontification by the Sussex county council guys but by golly the discussions were good, the comments thoughtful. Best of all, the Sussex county council voted to LET THE GUY PARK HIS DAMN TRUCK IN HIS DRIVEWAY GOD BLESS AMERICA! Rob Arlett and Sam Wilson voted positive. Not sure of the third vote but will get back on that. Arlett noted, with some passion, that even if he had ten damn cars in front of his house selling them, if they were all his cars and in his name, there’s no law against that. Sam Wilson said, simply and eloquently, that he still believes in individual property rights. I mean come on…..John Martin is just a schlub living his life and trying to make a buck. HE ticked off a few of his neighbors and he shouldn’t have but goodness, we go through all this, Building and Zoning, County Council, Deldot, some kind of state sedimentary commission, yada, yada…..OVER THIS? Once again Sussex county council, ya done good! NEXT : Post in pictures and some interviews; a compilation of unfinished business from posts recent but past.